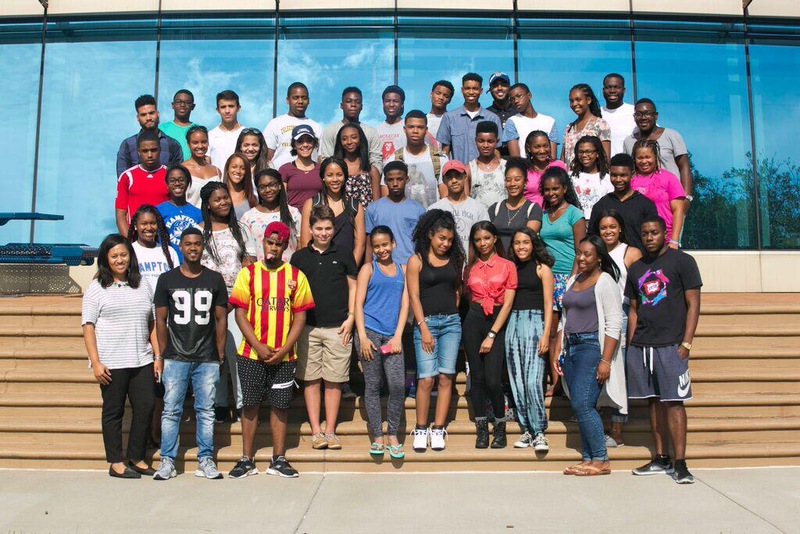 On July 12, Hampton University welcomed 32 high school students for it’s first ever DREAM Digital Media Academy, a summer camp geared towards increasing the presence of minorities in digital media and technology. “DREAM” is an acronym that stands for “Diversity Re-Imagined, Engaging All Media,” and it reinforces the main goal of the program. The students represented an array of cultures and backgrounds. They participated in investigating all aspects of media and content development. This summer camp is the brainchild of Hampton University professor Allie-Ryan Butler. Butler is a professor in the Scripps Howard School of Journalism and Communications, and he worked tirelessly to create a concentrated, effective program that was centered on inspiring, elevating, and educating minority youth. The program consisted of 12 days of activities, classes, and seminars. Each morning the students began the day with yoga on the waterfront. They then attended SAT and PSAT prep courses, and sometimes sat in on tapings of the “Digitalbytes” talk show series (the students had their meal in the studio as host Lawrence Rigby interviewed the special guest of the day). After lunch the “dreamers” participated in hands-on courses in the subjects of coding, art and design, and videography. Expert alumni and employees of the University taught these courses. They proved pivotal to the campers for their final project, which required a marriage of each skill taught in these classes. Following the instructional portion of the day the campers enjoyed many group activities like fireside chats (complete with s’mores and water balloon fights), a digital media scavenger hunt, karaoke, and games like manhunt on the campus grounds. In addition to classes and daily activities, campers were required to participate in step practice to prepare for the production that took place at the end of camp. The step video would be this session of camper’s legacy of sorts, and it took many nights of practice to pull together. Though meticulously structured, the program was punctuated by events that were strictly geared towards fun and socialization. A white party on the waterfront gave the campers a chance to dress up, eat a plated and served meal, and take thousands of pictures to commemorate their experience. The trip to Busch Gardens and the pajama party on the last night at camp gave the students an opportunity to let loose after the rigorous courses and the completion of their final projects. The aforementioned final project required the DREAM campers to come up with an original idea for a mobile app, as well as create a trailer, website, and presentation for their product within one week. The campers were placed in teams of 5 and 6 for this challenge. These teams were lead by the program’s resident assistants, Scripps Howard students Jusitn Alvis, Darryn Mumphery, Jalyn Sanders, Ryan Berry, Nick Acors, and Ricci Bostick. Head resident assistant Aaron Doggett supervised the teams throughout the process, along with program assistants Jalin Washington and Jessica Dortch. Hands-on help was provided to the students by teaching assistants Keilan Roberson and Katrina Padilla. Though faced with a project that required skills many of them had just learned, the students met and exceeded expectations with their finished products. Their ideas covered the categories of fitness, music, leisure, education, and business. The only criticism campers had to offer was that the program was too short. They’d like it to be extended to three weeks, at the least.